I specialize in custom solutions designed specifically for your needs. I love what I do, and enjoy helping small to medium sized business succeed on the web. Adding swap space is one of the easiest ways to increase the responsiveness of your servers and guard against out of memory errors, or errors caused by your server’s memory being full. 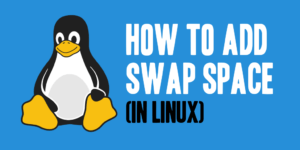 This tutorial will walk through how to add swap space to your Linux server. 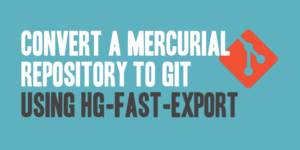 I decided to switch from Mercurial to Git for my personal and side work projects, and have put together this little tutorial to on how-to convert a Mercurial repository to Git using hg-fast-export. 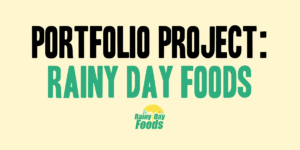 Rainy Day Foods, a provider of quality dehydrated and freeze-dried food storage for both consumer and wholesale purchase, was looking for an upgrade to their website, to bring it up to current web and design standards, to improve the overall design and user accessibility and interaction, and to fix problems that their current implementation was having. They were running on the Magento platform, were generally happy with it, but wanted leverage the newest and latest technologies that Magento 2 offered, which meant migrating their data and storefront to the Magento 2 platform. New Project? Need Help? Let's Chat! It all begins with a "Hello"! Looking for a new company website, an e-commerce solution, or something else? Let's talk! Just let me know what you're looking for and let me show you how I can help your business succeed!